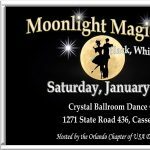 The Orlando Chapter of USA Dance is an all-volunteer non-profit community-based educational, charitable, performing arts organization to promote Ballroom Dancing and its fun social, physical, and health benefits. “Ballroom Dancing” includes all the partner, lead-and-follow dances (Smooth, Latin, Swing, and Country). USA Dance has 150 chapters and 19,000 members around the country. Our Orlando Chapter, with offices in Winter Garden, was founded in 1991. 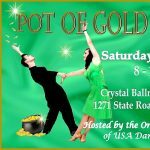 Our activities include:(1) Monthly ballroom dance parties with performances, 2nd Saturdays at Crystal Ballroom Dance Club, 1271 State Rt. 436, Casselberry, 32707. 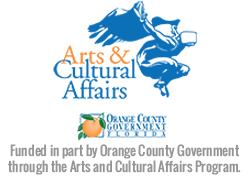 * (2) Outreach dance exhibitions for the community, at schools, malls, senior centers, festivals, nursing homes, non-profit organizations’ fundraisers, etc. (3) Financial aid to youth dancers and school dance groups. (4) Low-cost all-amateur dance competitions. 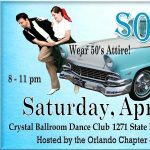 (5) Fund-raising dance events to benefit charities/non-profit orgs. (6) Co-sponsor with City of Alt Springs, of Ballroom Dance Classes for Special Needs population (Autistic spectrum, Down Syndrome, etc.). ( 7) Provider of information (an unbiased information resource) about where to dance, dance studios and instructors and group lessons, and special dance events.